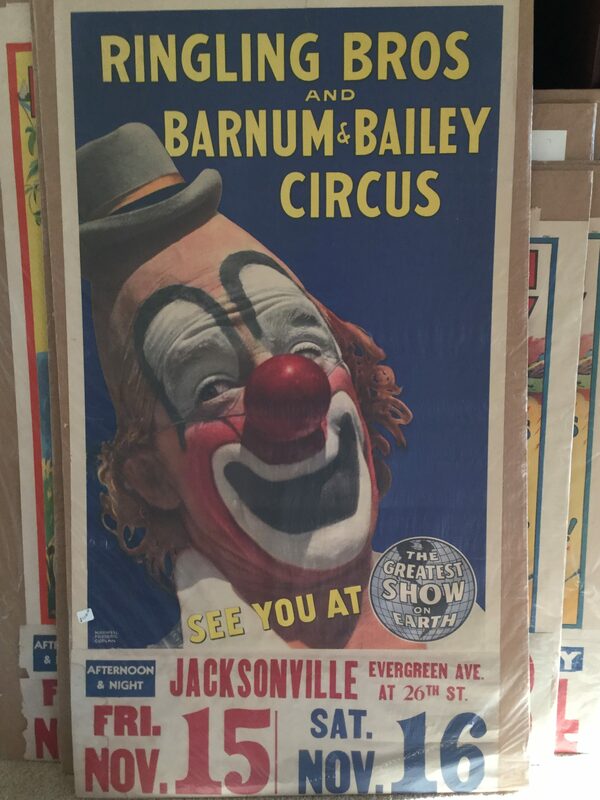 Circa 1930’s “Lou Jacobs,” the Famous Clown, of Ringley Bros Circus. 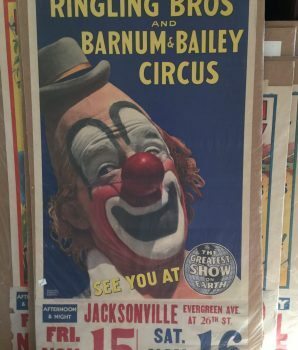 The colors are very strong on this original poster with great graphics and original date tag. Condition Excellent. Size: 51″ x 28″ $350 plus shipping.